A native of Elfin Cove, AK, Ryland is no stranger to riding the steepest and most technical lines in the mountains of Alaska. 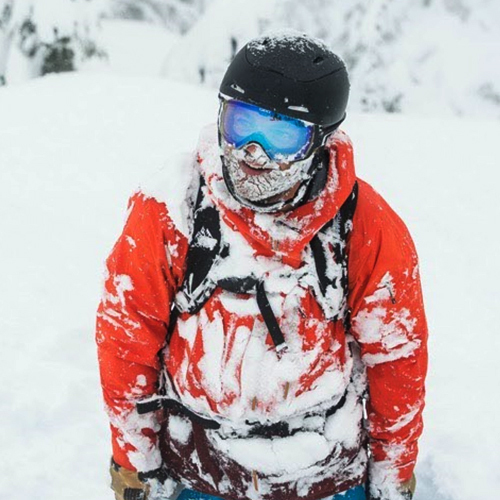 Riding alongside Jeremy Jones, Ryland has headlined in the award winning TGR films Deeper, Further and Higher and appeared in the Sweetgrass productions Solitaire and Valhalla. Growing up as a commercial fisherman, Ryland now tries to take his hard work ethic into the world of professional snowboarding. When he’s not pushing the boundaries of big-mountain freestyle snowboarding riding spines in AK or the Tahoe backcountry, you will find him salmon fishing off the coast of Alaska. That is a tough one, so many great adventures and good times. April 2015 stands out as a great trip. It came with its hardships. 17 days hanging in my cabin while it rained non-stop. Finally made it into the field, but had to cope without a sleeping bag for the first 4 days. Then more storms - shoveling, shoveling, shoveling, and being wet and cold. Then.. when it finally cleared, high rain levels. But, it did finally all come together... one month of trials and tribulations came down to one run. What a run though. Best of my life! I'm looking forward to getting back to AK this spring. Fingers crossed for a snow year. Living life to its fullest extent and being positive! I ride Spark R&D bindings because they are simple, strong, and I can trust them. I have ridden hands down the heaviest lines of my life on my splitboard and I wouldn’t be able to do that without having total faith in my equipment. It is hands down the best most durable responsive splitboard binding on the market.